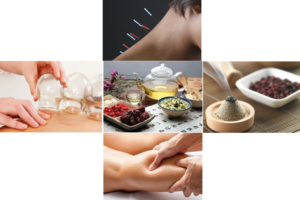 We provide a series of Acupuncture, Chinese Herbal supplements and Nutrition services, which will be applied according to different conditions. Acupuncture: An ancient art to adjust and restore the balance of Yin and Yang, to stimulate the healing ability. We provide regular acupuncture, electronic stimulation, abdominal acupuncture, cosmetic acupuncture and auricular acupuncture. Herbal supplements: customized formulas to treat most chronic conditions combined with acupuncture. Cupping: to help with pain, inflammation, blood flow, relaxation and well-being, and as a type of deep-tissue massage. Medical Massage: not only to relax, to increase the circulation, but also less stress, better posture and more confident. True Cellular Detox program: Invisible toxins may be taking your life! If you suffer from brain fog, low energy, sleep disorder and resistant weight loss, you may have invisible toxins. Please visit TCD page for more information. Initial visit: $ 120, including consultation and the first treatment, 90 minutes or so. Follow up: $ 90, including a brief review and a regular acupuncture session for 60 minutes. Facial rejuvenation: $150 per session for 90 minutes. Electronic stimulation: $ 10, add-on to follow up visit. We use Acupuncture and Herbal supplements to manage pain. The traditional Acupuncture targets specific acupuncture points on Meridians to lift, tone, and balance muscle integrity, improve skin quality, and restore healthy Qi-Blood-Organ balance. The result is not only toned face muscles, reduced fine lines and deep wrinkles, but also improved whole body well-being. We combine Acupuncture, facial cupping and Guasha in a 90 minutes treatment session. We help couples improve reproductive function and restore hormonal balance, or assist the Reproductive treatment by combining nutrition, acupuncture, herbal supplements and cupping. By combining Herbal supplements, Acupuncture and cupping, we can help with both woman and man’s health. We use a holistic approach, working with each patient to customize the treatment to many chronic conditions. We are launching a new detox program for the clients who seek help for weight loss, sleep disorder, brain fog and low energy.